I first posted this recipe last August, but since everyone loves these chicken wings, it's time to post them again. 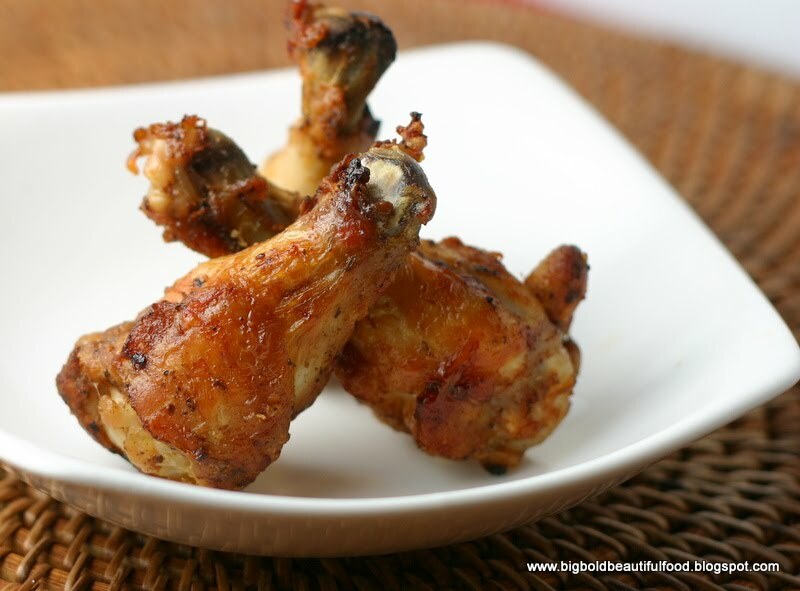 If you're looking for an easy and winning chicken wing recipe for a weeknight supper or a party, this is it. Hands down. I served these wings this week for a Cinco de Mayo party for my school, and they were gone in the blink of an eye. Even though I *way* overcooked them -- blame it on my penchant for talking to guests and completely forgetting they were in the oven -- people devoured them and were asking who made the wings. In addition to being crispy, delectable wings, they are full proof. You can't beat that! Take the chicken and all the other chicken wing ingedients and put them in a plastic Zip-loc bag. Put the bag in the fridge and let it marinate for 2 hours to over night. Take out the chicken and place it on a cookie sheet(s), preferably not touching each other, and bake for 20 minutes at 425 degrees. Check the chicken wings and switch racks if you have 2 trays and bake for another 25 minutes until the skin is lightly browned. You can cook them over an hour to get them really crispy. Nice Ninette! I didn't realize your daughters had blogs - but checking them out - now I know where they get their talent from! I think it is so cool that your girls are blogging too! Writing and expressing one's self is important and they are lucky to have role model like you! I have just added the ingredients I do not have to my shopping list. Since this is for my husband and I and we are trying to eat healthy, I will use chicken breast. I know it will taste great.